Although the bulk of our malpractice cases are in Maryland, our law firm is handling select medical negligence claims around the country. It is amazing the extent to which every state has very different malpractice laws. Like most states, Maryland requires that a medical doctor signs off on any medical malpractice claim. Under Md. Code Ann. 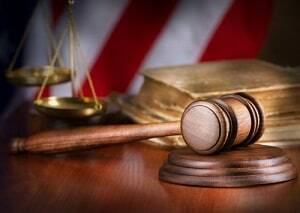 Courts and Judicial Proceeding Section 3-2A-04 (b)(4), medical malpractice lawyers must file a qualified expert's statement that the doctor’s care violated applicable standards of care and proximately caused the plaintiff’s injury. time spent on similar activity with a clear and direct relationship to testimony to be given or preparation to give testimony. Lawyers have destoyed many trees interpreting these four requirements. Plaintiffs' and defense counsel have interpreted these requirements very differently. Maryland requires that the certificate of a qualified expert explicitly state the name of the doctor or health care professional who allegedly breached the standard of care. For a sample malpractice certificate of merit in Maryland, click here. Statues of Limitations are the deadlines to file particular lawsuits. Failure to submit a lawsuit within the deadline can be a complete bar to recovery. This area of the law can be confusing, and the exact rules depend on the particular facts of a case. In general, however, medical malpractice lawsuits on behalf of adults in Maryland must be filed either within five years of the date when the injury was committed or three years of the date when the injury was reasonably discoverable, whichever is earlier. Md. Code Ann., Cts.&Jud. Proc. § 5-109. For minors, the deadline to file a medical malpractice lawsuit does not begin to run until they reach the age of 18. Wrongful death actions are treated differently. A wrongful death action is a lawsuit filed by the loved ones of someone who died as a result of negligence. Those lawsuits must be filed within three years of the date of death. Md. Code Ann., Cts.&Jud. Proc. § 3-904. In most medical malpractice cases, when a person dies there are two causes of action. The first is a “survival action,” filed by the estate for the medical expenses and pain and suffering endured by the decedent (the person who died). The second is the “wrongful death” action, filed by the loved ones for their pain and suffering caused by the loss of the decedent. The survival action has the same statute of limitations as an ordinary medical malpractice case. Additionally, lawsuits against local, state and federal governments have “notice” requirements. This means that, within a certain time after the negligence, a claimant must notify the government that he or she may have a claim. The federal government typically requires notice within 2 years of the negligence; the State of Maryland typically requires notice within one year after the date of injury (Md. Code Ann., State Gov’t § 12-106). Maryland local governments require notice within 180 days after the date of injury (Md. Code Ann., Cts.&Jud. Proc. § 5-304). Get even more detail on the nuances of the statute of limitation in Maryland health care negligence claims. These cases can be tricky. In medical malpractice cases, plaintiffs can recover any “economic” damages that were caused by the negligence. For example, they may recover the cost of paying for future surgeries, their lost wages, and any prescriptions or assistive devices required because of the negligence. However, the Maryland legislature has limited the amount of “non-economic” damages (typically called “pain and suffering”) plaintiffs can receive in medical malpractice cases. In fact, the amount is even lower than other injury cases. There is a formula to determine the limit based on the year the claim arises. For cases arising in 2016, the cap on non-economic damages is $770,000. The cap increases to $962,500 in wrongful death claims brought by two or more surviving family members under the Wrongful Death Statute. Under the law, if a surgeon negligently performed an operation which caused the death of his patient two years later, the most that could be recovered for the estate and for all family members entitled to recover for non-economic damages is $962,000. Compare that to other forms of personal injury—if the doctor hit someone with his car while running a red light, and that person died from his injuries two years later, the maximum amount of non-economic damages would be $2,075,000. Big difference. Additionally, Maryland governments have caps on damages that may be recovered against them in lawsuits. The liability of the State of Maryland cannot exceed $200,000 per claimant from a single incident (Md. Code Ann., State Gov’t § 12-104). The liability of Maryland’s local governments is limited to $200,000 per individual claim, and $500,000 for the total claims arising from a single occurrence (Md.. Code Ann., Cts.&Jud. Proc. § 5-303). Maryland technically has mandatory arbitration in medical malpractice cases. The Maryland Health Care Malpractice Claims Statute, Md. Code Ann., Cts.&Jud. Proc. § 3-2A-04 requires that medical malpractice parties arbitrate their claims before the Health Care Alternative Dispute Resolution Office as a condition precedent to bringing a lawsuit in Circuit Court. But malpractice lawyers in Maryland regularly waive arbitration as permitted under the statutory scheme at any time after filing the certificate of qualified expert. Maryland informed consent law is based on the patient's right to exercise control over his body. The informed consent doctrine imposes on a physician, before he subjects his patient to medical treatment, the duty to explain the procedure to the patient and to warn him of any material risks or dangers inherent in or collateral to the therapy, so the patient can make an intelligent and informed choice about whether or not to undergo such treatment. There is no bright-line test in Maryland for determining the scope of disclosure required. The test for determining whether a potential peril must be divulged is its materiality to the patient's decision. Accordingly, no expert testimony is required to bring a medical malpractice action claiming lack of patient consent. Maryland is one of 24 states that has rejected the lost of chance doctrine. Accordingly, loss of chance damages are not recoverable in a medical malpractice wrongful death action brought under the Wrongful Death Act, Md. Code Ann., Cts.&Jud. Proc. § 3-901. To recover under the wrongful death statute, the medical malpractice plaintiff must prove by a preponderance of the evidence that the death was caused by the medical malpractice of the health care provider. Fennell v. Southern Maryland Hospital, 320 Md. 776, 580 A.2d 206 (1990). Proof that the medical malpractice defendant's negligence reduced the decedent's chance of survival by twenty to thirty percent - e.g., from eighty percent to between fifty and sixty percent which was the case in Marcantonio v. Moen, 177 Md. App. 664 (2007) - does not show a "probability" that the negligence caused the decedent to die. (We believe this is bad law. As the dissent in Moan points out, the 51% math is illogical because the majority's calculation pretends it does not know that the patient died. If you have a 99% chance of living and defendant’s negligence takes you down to 50% and you die, there is a 98% chance you died as a result of the negligence of the defendant. Hopefully, this issue will be addressed by the Maryland Court of Appeals or the Maryland General Assembly). In Maryland, the doctrine of “res ipsa loquitur” (Latin for “the thing speaks for itself”) allows plaintiffs to bring lawsuits without expert testimony if the injury: (1) is a kind that does not usually happen without negligence; (2) is caused by an instrumentality exclusively within the defendant’s control; and (3) is not caused by an act or omission of the plaintiff. As a practical matter, very few medical negligence cases are brought using this theory. 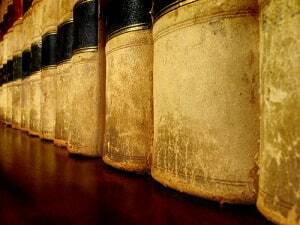 Most attorneys prefer to have an expert testify as to exactly what went wrong. Get more on res ipsa loquitur here. Hospital records in medical malpractice cases in Maryland are admissible if expert testimony establishes they are "pathologically germane" to the physical condition which caused the patient to go to the hospital in the first place. A "pathologically germane" statement must fall within the broad range of facts which under hospital practice are considered relevant to the diagnosis or treatment of the patient's condition. Facts helpful to an understanding of the medical or surgical aspects of the case within the scope of medical inquiry are pathologically germane. Therefore, entries in hospital records which are pathologically germane, or relevant to the diagnosis or treatment of the patient's condition, typically fall within the business records exception to the hearsay rule. There is no secret that medical malpractice lawyers in Maryland representing victims prefer the courts in Baltimore City or Prince George’s County. To varying degrees, other Maryland jurisdictions are more conservative on questions of liability and damages. 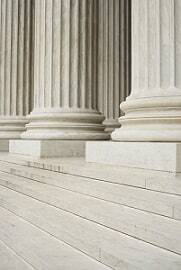 Plaintiffs do not always have a choice of where to file the lawsuit, however. Venue is governed by Md. Code Ann., Cts.&Jud. Proc. §§ 6-201 and 6-202. Most medical malpractice cases are filed where the negligence occurred (for example, the county where the surgery or birth injury happened). Maryland is one of five jurisdictions in the United States (along with Virginia, District of Columbia, Alabama, and North Carolina) that continues to use contributory negligence instead of comparative negligence in medical malpractice (or any other negligence) cases. Any contributing negligence by the Plaintiff, even one percent of negligence, will completely bar his/her recovery. That said, Maryland juries often overlook the Plaintiff’s negligence if it is a relatively insignificant part of the injury. Most Maryland lawyers will tell you that if our state had comparative negligence, many jury verdicts in medical malpractice cases would be slightly reduced by the Plaintiff’s comparative negligence, usually for some patient noncompliance. Still, almost every medical malpractice lawyer in Maryland would tell you that comparative negligence is a better and fairer system for malpractice plaintiffs. In the 2016 session, there was a good bit of effort to change Maryland’s contributory negligence law in the Maryland legislature. The Maryland high court has been baiting the legislature to do just that. This effort failed to change Maryland’s harsh contributory negligence standard. In Maryland, where there are multiple defendants who each contributed to the negligence and injury, each defendant is jointly and severally liable. This means that each is responsible for the full amount of any judgment. However, if one defendant pays more than his fair share of the verdict, he may recover “contribution” from other responsible defendants to the claim. The Maryland's collateral source rule permits tort victims to recover the full amount of his/her damages "regardless of the amount of compensation which the person has received for his injuries from sources unrelated to the tort-feasor." Haischer v. CSX Transp., Inc., 381 Md. 119, 132, 848 A.2d 620, 628-29 (2004). Regrettably, there is a malpractice exception to this rule to money that the Plaintiff actually paid or will have to pay. We have summarized most of the Maryland statutes germane to Maryland law here. This is a general summary of Maryland medical malpractice law. Obviously, this information may change. Of course, you should not be relying on the information contained here. The laws change over time and, who knows, maybe we got something wrong. This is for information purpose only. We have a disclaimer on every page of our website in this regard. But we make particular note of it here because this area of law is so fluid.